The weather has finally turned and I was drawn outdoors like a moth to a flame. The signs of spring are everywhere and I felt my hunter’s instinct kick in as I spotted the new growth around me. I thrive on seeing how nature takes advantage of every opportunity. It inspires me to be aware of the opportunities all around me and reminds me that even a short walk outside can pay off in more ways than one. Do you ever stop, check out and recharge? My refuge has always been the great outdoors. It is easier to find my authenticity and a sense of solitude by simply taking a stroll in a park, walking through the woods or even rolling down the window to get a little fresh air. Nature recharges my batteries so I am ready to deliver at peak performance levels. Society, work, family – they all demand attention and want us to be “on” all the time. Between cell phones, computers, tablets and social media, it is nearly impossible to get away. I am as guilty as anyone (honestly: maybe more so) when it comes to being on the grid most of the time. Trust me, there will always be more work to do, another email to answer, or a post or comment that needs a response, but sometimes it all just has to wait. To properly maximize day-to-day output, you must manage your energy wisely. The outdoors is the ultimate energy boost; it’s free, requires very little planning and nothing else can compare. No matter how hard you work or how much responsibility you take on each day, YOU are the most valuable part of that equation. Do yourself a favor and take the time to checkout, recharge and get outside. The world is waiting. 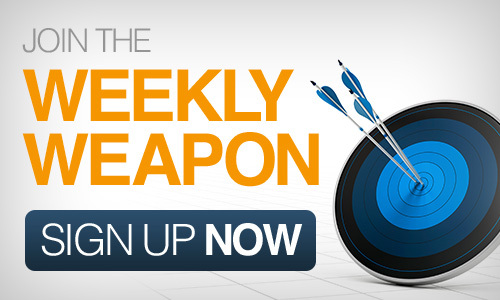 This entry was posted in Your Weekly Weapon With David Farbman on April 4, 2014 by David.